Lots of us have ideas we think would make great businesses. Most of us never do anything with those ideas. But for those that do, a world of opportunity awaits them. 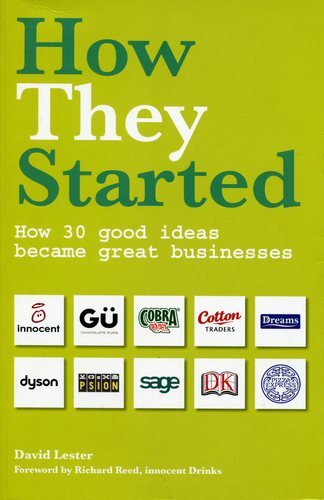 This book is about 30 people who acted on their idea, made the first steps to start their business and subsequently went on to turn it into a global brand. From Innocent to Cobra to Dreams to Dyson, we reveal how some of the UK's biggest businesses got of the ground, and those very first steps taken by their founders. As an example from the book gives an introduction on how James Dyson began his unique and highly successful household appliance company. Awesome post for guiding about Business and Finance, lot of important guide in this blog.